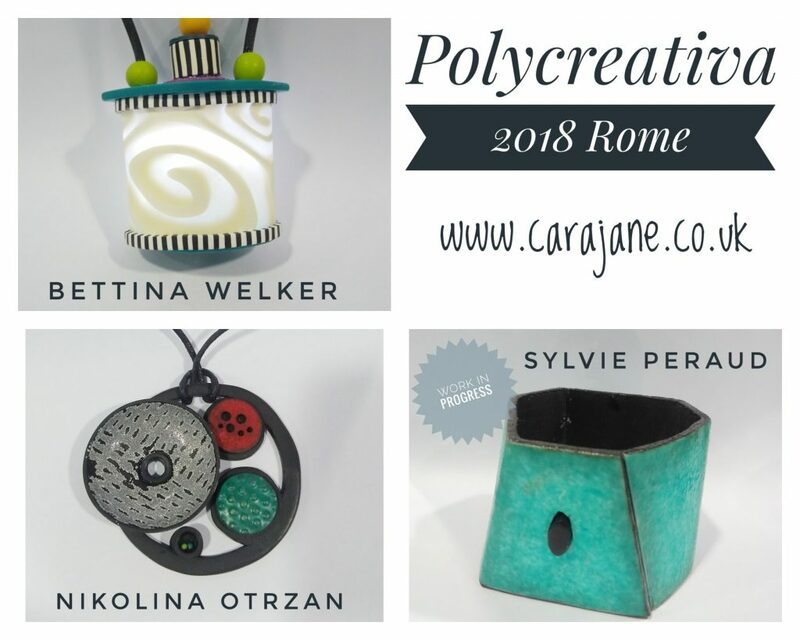 Last weekend I attended the wonderful polymer clay workshop Polycreativa in Rome. 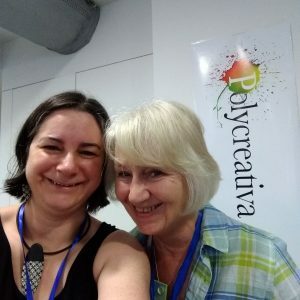 I travelled from the UK with Nina Fletcher – we met at a polymer clay event and love to travel together! I didn’t really take many photos (far too busy having fun). 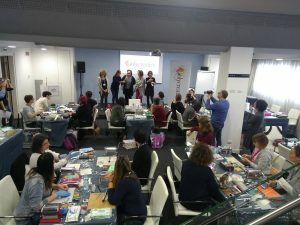 Here is one of the opening welcome with the organisers – Monica Scala and Paula Mattioli and the teachers – Bettina Welker, Nikolina Otrzan and Sylvie Peraud. 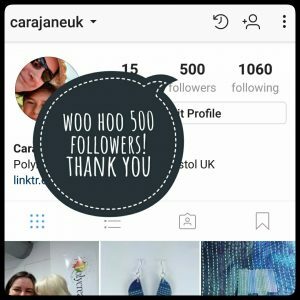 I got to 500 followers on Instagram this week so will be doing a giveaway on Instagram tomorrow to celebrate 🙂 Come follow me there for a chance to win some earrings.